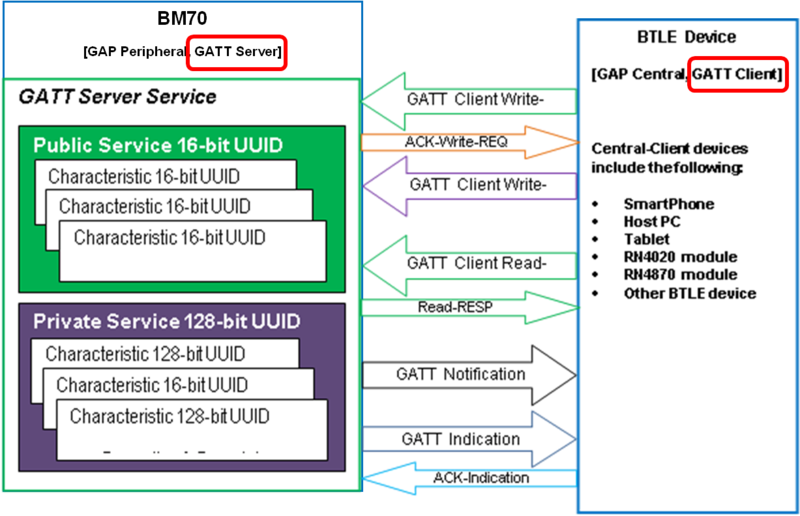 Bluetooth® Low Energy (BLE) data communications are implemented in the Generic Attribute Profile (GATT) layer using the Attribute Protocol (ATT), a simple client/server stateless protocol. If a client request is still pending, no further requests can be sent until the response is received and processed. The following depicts a GATT Server having two services (one Public, one Private), with a GATT Client executing several GATT operations to read/write the data (characteristics) in those services.